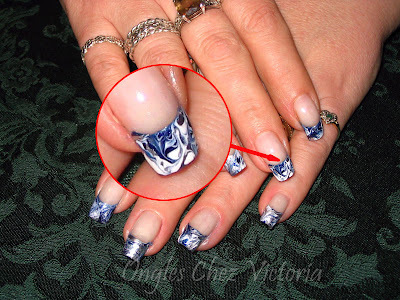 Nail Art: Marbleized Acrylic Nails : Everything About Fashion Today! 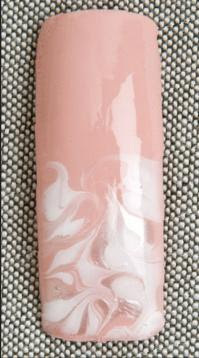 Apply sparkly pink acrylic as a reverse French (to allow for a clean smile line). Place three to six wet balls of different acrylic colors on the free edge. Tuck in the sides of the acrylic, so it’s meeting edge to edge on the margins. Pat the top of the acrylic to push it into place and smooth it. (Don’t worry if there are small grooves.) Cover the entire nail with clear acrylic to fill in any grooves and make sure the free edge is secure. File, buff, and shine.